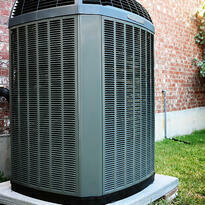 When it comes to HVAC and appliances, proper insulating is critical to efficient, quiet operation. Since its origin, INSUL-FAB has been providing OEM companies in the heating, ventilation, and air conditioning (HVAC) and appliance markets with technical products for numerous applications. Our products make equipment more efficient, quieter, safer, and long-lasting. Our Application Engineers combined with industry leading material suppliers help our customers develop the right solution for each application. We understand the demanding supply chain requirements for this industry and maintain a quality system and production capabilities in the U.S. and Mexico that fit any level of need. Aluminum foil tapes for transitions, pipe insulation protection, and regulatory requirements.